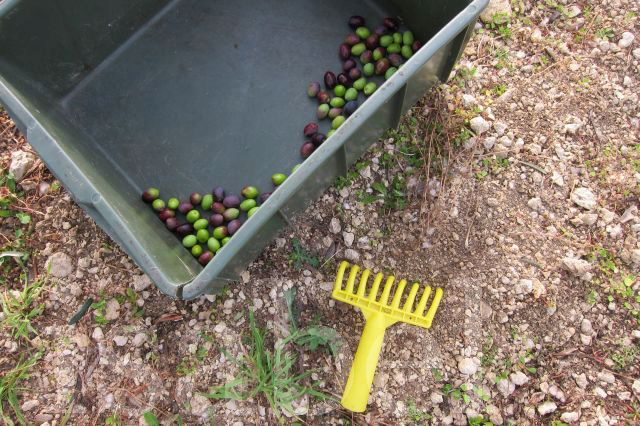 In Istria, olive-picking season starts in October and continues until late November. 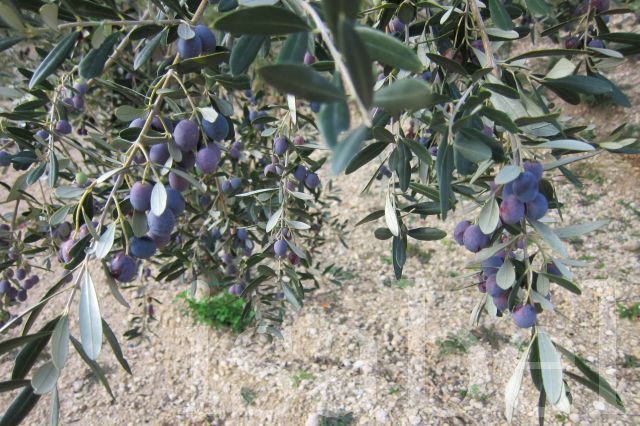 This is usually the time when olives are ripe and ready to be picked. Of course some varieties ripen faster than others, so those are the ones that have to be picked first. And in the south of the peninsula, picking usually starts earlier than in central or northern Istria. This year was a very good year for olives because of the long, hot and dry summer we had. Last year, however, was terrible because of a very wet summer, conditions that were favourable for the destructive olive fly. Some olive growers prefer to pick their olives before they’re fully ripe, and just as their colour starts to change from green to purple, because this increases the polyphenol (a type of micronutrient and anti-oxidant) content of the oil, and preserves its nutritional properties. Others prefer to wait until their olives are completely ripe and have fully purple skins because this will result in a larger quantity of oil. It’s a matter of taste, and quality over quantity. We have a small olive tree in our courtyard and this year it produced its first olive! Of course we are far from having enough fruit to make even a thimble of oil… But this year we had the chance to experience an olive harvest when we helped a neighbour pick his olives. 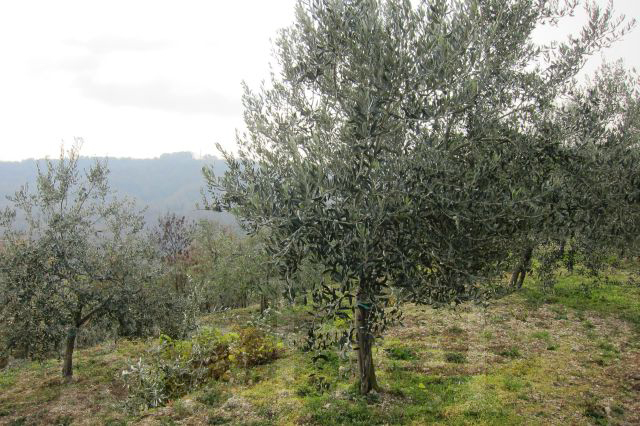 His olive grove is not far from the village, situated on the side of a hill which has been terraced so that each tree gets maximum sun exposure. His trees are less than ten years old and he keeps pruning the branches so that they grow outwards rather than upwards. As a result the trees are not very tall and it was easy to hand pick the olives. We spread a net on the ground around the tree so that it would catch all the falling olives. 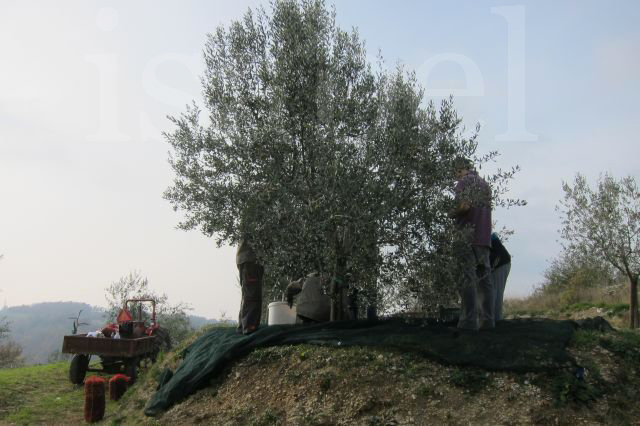 The olives are plucked off the branches by hand, or by using a small hand rake. I preferred to simply pluck them by hand off the branches, working one branch at a time. Those using the rakes just let them drop on the net below, and once all the olives had been removed from the tree, they’re picked up off the net. Inevitably leaves and twigs get mixed up with the olives and these have to be separated. We were a group of six working on each tree and I was surprised at how quickly we could finish one tree. Of course some trees had more olives than others, and the fruit varied according to the variety: some were fat and juicy, while others were much smaller. I enjoyed this work better than grape picking, even though grape picking is less tedious. In Istria, food is an important part of any activity. So once we had finished picking for the day, it was time to eat. We had an improvised picnic on the hilltop and enjoyed the last warm days of Autumn. Olives should be pressed within 24 hours of picking so that their nutritional value is preserved as much as possible. So that evening we headed to the local oil mill… the subject of my next blog post! Interesting post.Thanks for sharing your olive tales. What a picturesque spot in which to harvest olives! What did your post-harvest picnic consist of? Later this week, we are set to try the olive oil produced from the grapes we picked last month. I do wonder if it's too late in the season to try to observe a pressing taking place? There's nothing like newly pressed oil -- enjoy!